Rafe is back, once again, living life by his own unique set of rules. One reviewer called Rafe, "the most compelling anti-hero ever". Another said he is "one of the most complex fictional minds yet encountered." But Rafe does not care what you think. 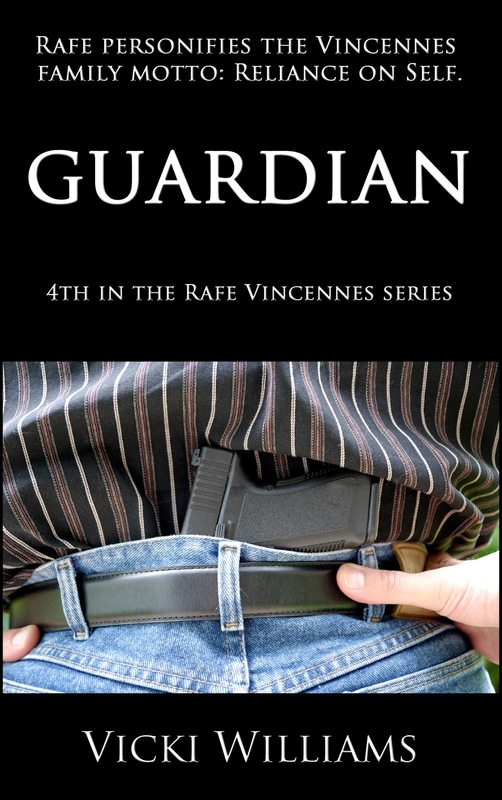 Guardian is available through smashwords and Amazon.com. Sheriff Rod Forbes, released a statement today about a shocking series of events that took place at 12937 Acorn Pike in rural Santerral County on May 4th. According to the Sheriff, Rafe Vincennes, race car driver and actor, who makes his primary home in the Lake Norman area, happened to stop by the house on Acorn Pike, mistakenly believing it to be an address where he’d heard an Arabian mare was for sale. No one was home but as he stood by the back door after knocking, Vincennes heard screams coming from inside. Fearing that someone was hurt, he tried the door, which was unlocked. Once inside, it was obvious that the cries were emanating from the basement. He rushed down the stairs and discovered a terrorized male child, approximately five years old, strapped to a surgical table by means of metal bindings. Almost immediately, Vincennes heard a sound behind him and turned to find a man, later identified as Craig Glenn, tenant of the property, threatening him with a firearm. He instantly leaped toward Glenn and stabbed him with a hunting knife. The Medical Examiner’s office declared Glenn dead at the scene. The child, whose identity has not yet been ascertained by authorities, was removed to the hospital for treatment of a multitude of medical problems including dehydration, malnutrition and serious infection, as well as burns, broken bones and other injuries. His primary care physician reported that he appeared to be the victim of systematic torture, carried out over a significant period of time. When asked to estimate how long the boy had been in the basement, he would only say, “at least a year”. The investigation into the murky circumstances surrounding the identity of the child and how and when he came to be in the basement of Craig Glenn is on-going. Similarly, the Santerral Sheriff’s Department has found that there is no record of Craig Glenn prior to his moving to Santerral County three years ago, leading them to believe he was using a false identity. In a further development, it was revealed that Rafael Alain and Rhiannon Vincennes filed for and received temporary guardianship of the victim until and unless his real family is located. Efforts to interview Rafe Vincennes have so far been unsuccessful. 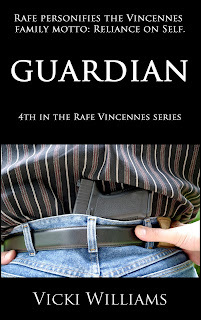 Vincennes is no stranger to controversy having made headlines in the past for ……(here there were brief summaries of his son, Cam’s kidnapping and his illegitimate daughter, Allie’s adoption). The Santerral County Sheriff’s Department urges anyone who may have information regarding this case to call the Tipline at 1-800-437-9292.